We’ve all carried a watermelon at some stage. 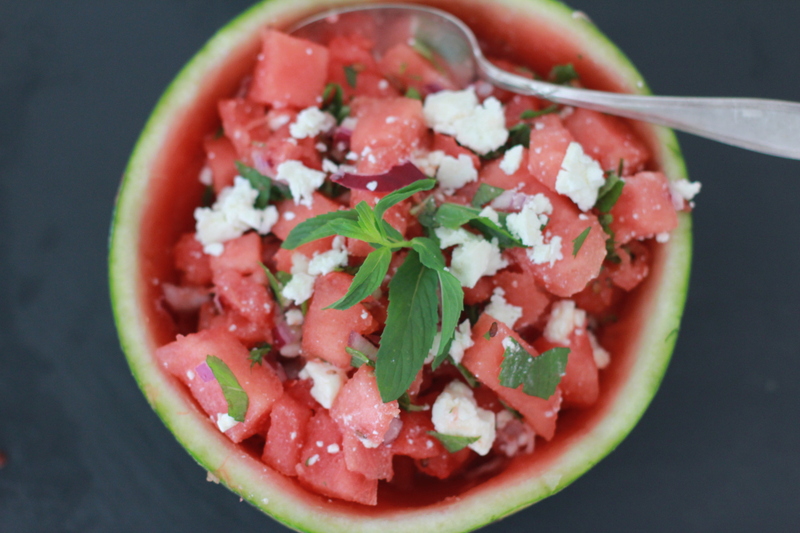 This time, carry that watermelon with pride, you’ll be putting together a delectable summer salad (and perhaps cocktails for two). 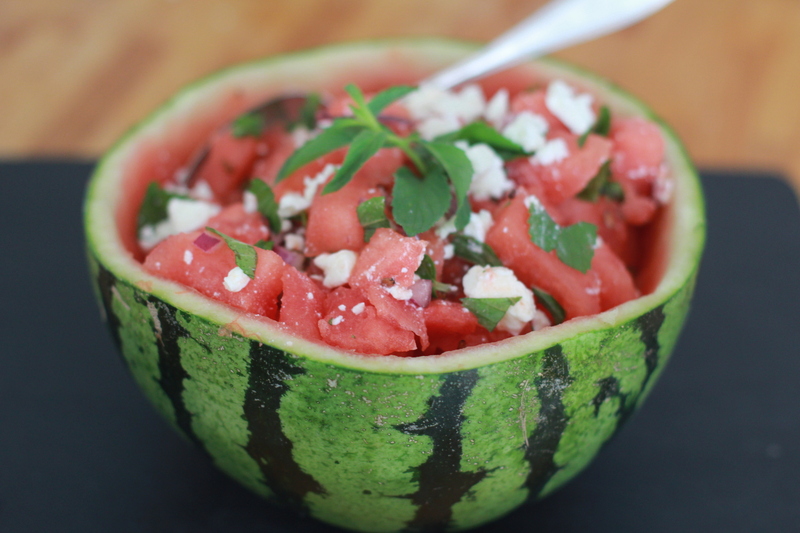 Watermelons are awesome because i) they are watermelons and ii) you can use them as the serving bowl!!!!! How cool is that. We like that. 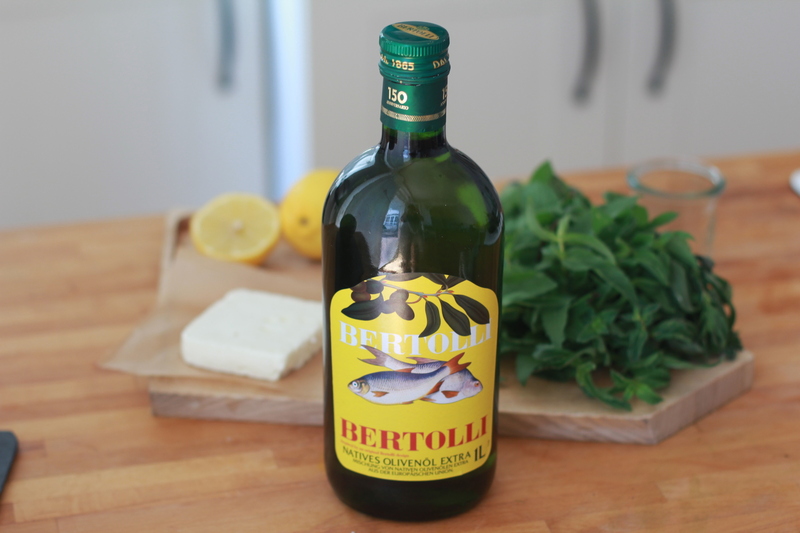 These anniversary bottles of Bertolli olive oil were on sale at the supermarket. Straight into my basket. Watermelon (that you carried). Halve, scoop out the flesh, and chop it into bitesize pieces. Chop, crumble, drizzle and mix everything together. Transfer to the now hollowed-out watermelon and serve up. You can basically eat this for breakfast, lunch or dinner. Great as a side dish if you’re serving meat, I had a large bowl for lunch. Next time I’ll try this with baked halloumi. 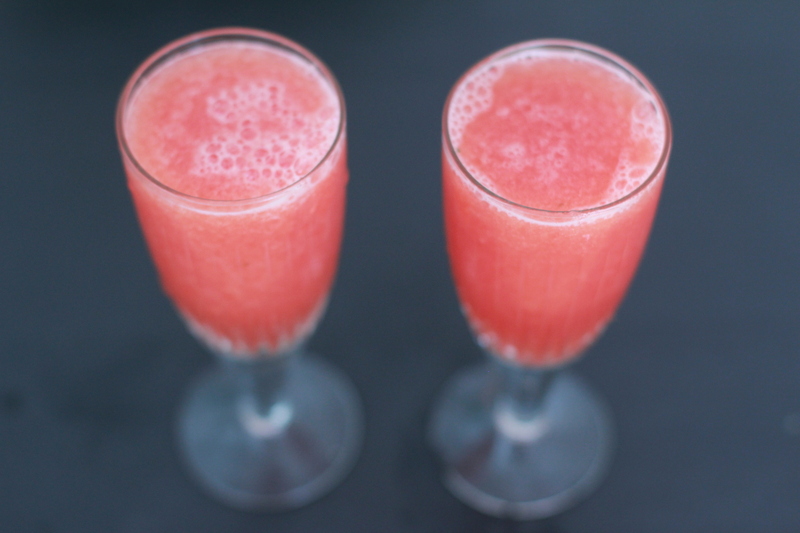 Of course, there’s that watermelon juice. When you’re scooping out the melon, drain off the juice every now and then, you’ll have enough to share a glass with your honey. Or have two glasses for yoself. (With a splash of vodka or prosecco, if you fancy). 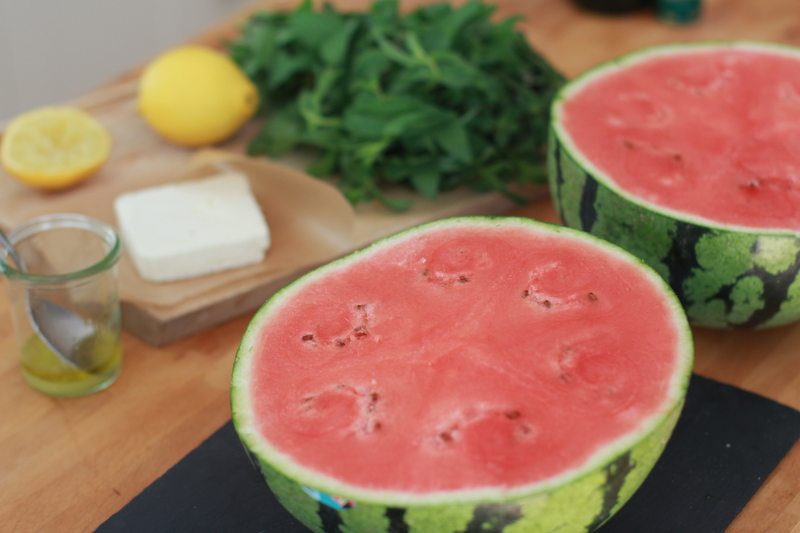 Watermelons are still in season so carry one home today!